First things first, I’d like to thank everyone who helped make 2016 another great year on the storied Brule! All in all the Steelhead fishing was fair. It is obvious that we aren’t seeing the big runs that we got earlier in the 2000’s. Is it time to panic? I really don’t think so. 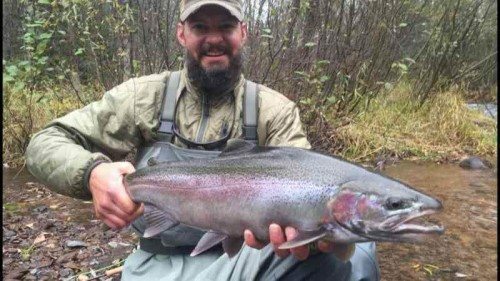 The Brule has a run of all wild Steelhead, as with any natural, self sustaining population, there will be some ups and downs. With the exception of very few days, we managed to hook a couple of fish most every time out. Big quantities are great, and the numbers will go up again, but in the meanwhile, keep in mind that these are fish of great quality that have carved out their niche in the Brule and Lake Superior over more than the past century. My observations, and the observations of others indicate we had exceptional fry survival this past summer! This bodes well for the future of our beloved Brule Steelhead! Until the numbers start bouncing back, return all fish as gently and with as much care as possible! Give these magnificent fish a chance, and they’ll bounce back. The Upper Brule was a bit more finicky this year than in years past. when the fishing turned on, it was as good as I’ve ever seen it, when it got tough, it got really tough. A very positive was the number of large Brook Trout. This is a trend I’ve been seeing for quite a few years, and I couldn’t be happier about it. 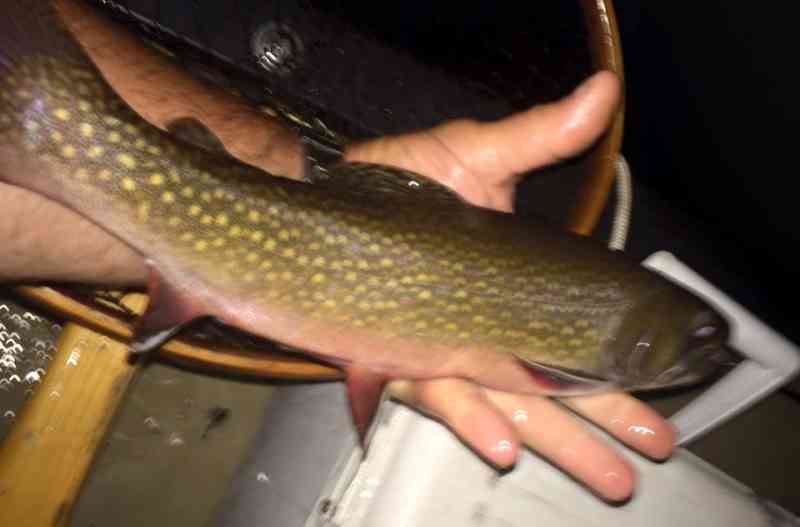 I saw several Brook Trout over 15″ and even one that measured out at an honest 16″! It wasn’t that long ago that a Brookie of 12″ gave you considerable bragging rights! The Woodcock Migration this fall was a little different than it’s been in the past. Warm Fall temperatures didn’t push the “Little Prince of the Woods” down until a little later in the Fall. Hunting was still good, but we didn’t see the biggest number of birds until late October. There were still really good numbers of Timberdoodles around well past the close of their season, which is something I’m not used to seeing. Grouse numbers appear to be comparable to last season, flushing between 2 and 4 birds per hour, depending where we were. The addition of another dog this fall was a lot of fun! Casper made amazing progress (and continues to). Woof was his usual self and pointed a ton of birds this Fall for a lot of folks! 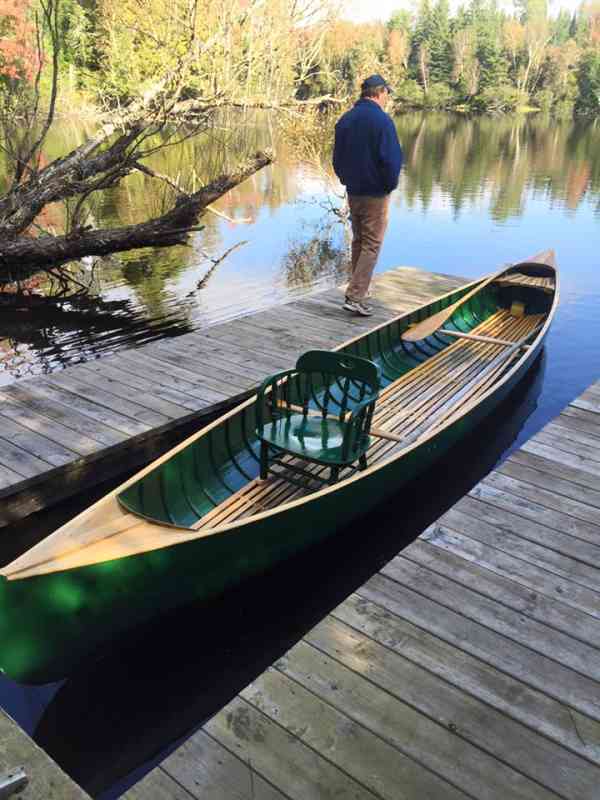 In 2016 I will be offering a limited number of Upper River Floats in a Joe Lucius Canoe. This is the quintessential Brule River Guide Boat! Built on the Banks of the Brule 105 years ago, it was brought back to life this past year by Stub Swenson, at Swenson’s Boat Shed. Stub is a master at his craft and it was great fun watching, learning and even “helping” along the way. Again, Id like to thank everyone for a great 2015! This entry was posted in Fishing Reports and tagged brook trout, brown trout, brule, brule river fishing report, Brule river steelhead, fly by night guide service, RIO, sageflyfish, simms, steelhead by Damian Wilmot. Bookmark the permalink.